In 2011, we answered the call for Peach Lemonade from many of our fans living in southern states. Peaches mixed with the lemons produced a sweet, unique flavor, and a color that fit into the vibrant Calypso line as if it belonged all along. 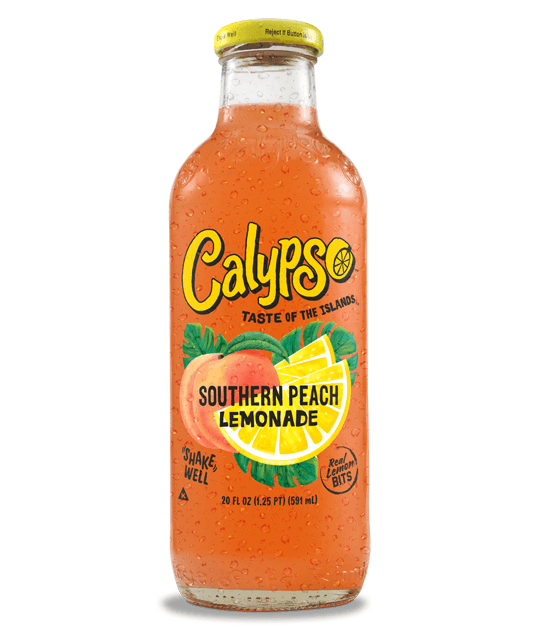 Southern Peach was named after the region where most peaches are typically grown in the United States, and its popularity has made it one of Calypso’s top-selling flavors.